Save up to 70% Off on Hard Drives, Thumb Drives & SD Cards, Shop Now! Spring Savings on a Great Selection of Memory & Storage devices on NOW at The Source! Save up to 70% Off on Hard Drives, Thumb Drives & SD Cards, Shop Now! Get an Xbox One Wireless Controller with Purchase of Select Xbox One Console Bundles! Get an Xbox One Wireless Controller with the Purchase of Select Xbox One Console Bundles at The Source! A $64.99 value, Shop Now! Save up to 140$ Off on Brands Like Canon, Nikon & FujiFilm, Shop Now! Springs Savings on a great selection of name brand cameras on NOW at The Source! Save up to $140 Off on brands like Canon, Nikon & FujiFilm, Shop Now! Capture every minute of the fun when you gear up with digital cameras and camcorders at picture-perfect prices. Go straight to the Source for top quality photography devices and accessories from trusted names like Olympus, Canon, Sony, Fuji and JVC. Get started with a basic point and shoot camera or opt for more advanced DLSR models. Spring Savings on Home Theatre Systems Now at The Source! Spring Savings on a great selection of Home Theatre Systems on NOW at The Source! Saving up to $50 Off on brands like Sony & Fluid, Shop Now! Spring Savings on Tablets on NOW at The Source! Spring Savings on Tablets on NOW at The Source! Save up to $80 Off on a great selection of Samsung Tablets, Shop Now! Samsung is one of the most trusted names in the industry. And you can do it all with a Samsung tablet. Compact, comfortable to hold, and packed with features, Samsung tablets have everything you need in a tablet. At The Source, we�re your Samsung experts - and we�ll help you find the perfect tablet or tablet connection. Spring Savings on Wireless Speakers on NOW at The Source! Spring Savings on Wireless Speakers on NOW at The Source! Save up to 30% Off on top brands like Beats, HeadRush and Ultimate Ears, Shop Now! Save up to 50% Off on Headphones at The Source! Save up to 50% Off on a great selection of Headphones at The Source! Sony, Monster, Bose & More! Shop Now! Gear up for listening quality and comfort with the headphones of your dreams. We are your Source for the latest earbuds, wireless headsets, compact or sport headphones and noise-cancelling listening devices. Browse through an incredible variety of styles and colours from trusted headphone brands like Sony, Monster, Skullcandy, Sennheiser, JVC and Beats Audio. I want that. Save up to 80$ Off on Laptops!! Save up to $80 Off on a great selection of brand name laptops from The Source! HP, Asus, Acer & More! Shop Now! Save up to 300$ Off on HDTV's at The Source! Save up to $300 Off on HDTV's at The Source! Great brands like Sony & Samsung! Shop Now! Tap into top entertainment with incredible TVs from Sony, Samsung, LG, Fluid and Sharp. Choose from the latest LCD, LED, Plasma and 3D TV models in a range of sizes appropriate for every room in the house. Watch your old favourites on a brand new tech toy and get your TV mounts, stands and cables from The Source. Easter Weekend Sale on NOW at The Source! Easter Weekend Sale on NOW at The Source! Save up to 60% on tech for the whole family, Shop Now! On the hunt for the perfect Easter gift? Don�t let the Easter Bunny do your shopping for you. Visit TheSource.ca for all kinds of sweet gifts sprinkled with savings�from the latest high-quality headphones and iPod/iPhone docks to laptops, tablet computers, digital cameras, and more! Save $10 Off on the Crosley Cruiser Portable Turntable at The Source! Only $79.99, Shop Now! Print, copy, and scan quality images and documents with the Canon PIXMA MG2920 Wireless Inkjet All-in-One Photo Printer by using cloud connectivity! PIXMA Cloud Link allows you to connect with cloud services like Dropbox and Evernote through your smartphone or tablet, giving you access to an even greater variety of print options. Its hybrid ink system combines dye ink for vivid colours and black pigment ink for sharp text, which produces incredible quality and detail in both your photos and documents with a maximum print colour resolution of 4800 x 600 dpi using FINE print head technology. It also offers built-in Wi-Fi, so you can print wirelessly anywhere as long as your device is connected to the same local wireless network as your printer. Buy this Printer and Save 60% on the Canon PIXMA MG2920 Wireless All-in-One Inkjet Printer at The Source! Only $39.99, Shop Now! Capture every moment with the 16GB Class 10 Micro SD Card. This micro SD card delivers fast transfer rates and superior performance for all micro SD compatible devices, including your smartphone or camera. Buy this and Save 27% Off on 16GB Class 10 Micro SD Card at The Source! Only $7.99, Shop Now! The super-slim profile of the stylish ACER G226HQL 21.5" LED Monitor features vibrant, stunning visuals without making an impact on the environment. Outstanding performance, eco-friendliness and smart use of energy complement the sleek design - all while staying well within budget. Safe for you and your world, G6 Series monitors are RoHS compliant, use mercury-free white LED backlighting and meet ENERGY STAR� requirements. So buy this Monitor and you can Save $30 Off on the Acer G226HQL 21.5" LED Monitor at The Source! Only $99.99, Shop Now! Save $10 Off on the Apple iPod touch� 5th Generation 32GB at The Source! Only $289.99, Shop Now! Save up to 20% Off on Tygerclaw Mounts at The Source! Starting at $34.99, Shop Now! No Code Needed. Get Beats Solo 2.0 Bluetooth Wireless Headphones For Only $289.99! Immerse yourself in the clear, dynamic sound of the Beats by Dr Dre Solo 2.0 Wireless Bluetooth headphones, wherever you go. With built-in Bluetooth technology, the Solo 2.0 Wireless headphones deliver up to 9.1m (30 feet) of wireless freedom. The earcups and headband offer an ultra-comfortable and streamlined fit, plus they're durable and feature a travel-friendly foldable design. Enjoy fine-tuned acoustics for clarity, breadth and balance so you can fall in love with your favourite music all over again. And Get the Beats Solo 2.0 Bluetooth Wireless Headphones for only $289.99! Shop Now! Enjoy fresh juice at home on a daily basis when you buy the Total Chef Juicin' Juicer, which lets you easily juice any fruit or vegetable desired. This powerful machine has a motor that works at an impressive 22,000 rpms; within minutes you can have a full glass of your favourite juice. Preparation is extremely easy as you don't even need to peel most of the fruits (oranges, pineapple, beetroots, or other thick peels are an exception), just place them right into the juicer for fast, delicious results. So buy this Appliance and you can Save 20% Off on the Total Chef Stainless Steel Juicin' Juicer at The Source! Only $71.99, Shop Now! Cook your favourite recipes quickly and efficiently with the compact Total Chef Single Induction Cooktop, with a FREE stainless steel wok and lid! The single burner cooktop uses induction heating, which means the element only heats up when a pan or pot is placed on it. Heat is transferred directly to the cookware, and stops heating when the cookware is removed. Using just 1600 watts of power, this cooktop not only saves energy and heat, it also reduces your cooking time. So buy this Appliance and you can Save $50 Off on the Total Chef Single Induction Cooktop at The Source! Comes with a Free Stainless Steel Wok & Clear Lid, Only $99.99, Shop Now! Enjoy superior print quality in a compact package with the Canon PIXMA MG6420 photo all-in-one wireless inkjet printer in white. This streamlined printer prints incredible, borderless photos up to 8.5x11" in size, along with crisp, clean documents with high contrast. The Snap Edge feature offers easy access to your ink tanks for quick replacements, and if a colour runs out you only replace the tank you need. Featuring a 3.0" LCD screen, integrated memory card slots and built-in Wi-Fi, the Canon PIXMA MG6420 printer is versatile and high-quality enough for any home or office. So buy this Printer and you can Save $110 Off on the Canon Pixma MG6420 Photo All-in-One Wireless Inkjet Printer at The Source! Only $69.99, Shop Now! The SmoothTalker Mobile X-30 dual signal booster is designed to improve your cell phone reception and reduce dropped calls. This plug and play kit has everything you need to set up your SmoothTalker quickly and easily. The universal charging cradle provides the ability to secure both small & large smartphones, charge your phone, plus holds your phone for hands free operation. This kit is designed for your car, truck, RV or boat. So get this product and Save $30 Off on the Smoothtalker Mobile X-30 Cellular Signal Booster Kit at The Source! Only $259.99, Shop Now! Whether you're indoors or outdoors, take your music with you with these Acoustic Research wireless speakers. It's easy to set-up (plug and play), and you can listen to your music crystal clear up to 45m (150') from the transmitter, which delivers great sound to these 2-way acoustic speakers (2" tweeter and 3" woofer). Each speaker can also be used independently making it a true portable wireless speaker by connecting your MP3 or smartphone to the 3.5mm input on the speaker (cable included). Each speaker features Dual Power mode. You can use the AC adapter (included) or 6 AA batteries (sold separately). So buy this Speaker and you can Save 40% Off on Acoustic Research Indoor & Outdoor Wireless Speaker 2-pack at The Source! Only $59.96, Shop Now! Nicknamed 'The Adrenaline Junkie Kit' this package includes the Sony HDR-AS15 digital HD video camera recorder with Wi-Fi, a waterproof case, headband mount, ActionCam waterproof goggle mount and adhesive mounts. The Sony HDR-AS15 is a wearable camcorder with full HD and built-in Wi-Fi. It comes equipped with a 16MP Exmor R CMOS sensor for low light conditions, image clarity and dramatically reduced grain. The built-in SteadyShot ensures smooth pictures every time. Weighing only 90 grams, this camcorder allows you to capture all your adventures and then instantly share them via Wi-Fi on your cell phone or tablet. There's also an HDMI output, so you can re-live the action on your HDTV. So buy this and you can Save $50 Off on the Sony HDRAS15 POV ActionCam at The Source! Only $179.96, Shop Now! The compact (10.3cm x 11.4cm), lightweight roof prism binoculars are light enough to bring along for wildlife watching or faster-paced action such as watching ski races. The high-eyepoint design provides a clear field of view for everyone, including those who wear glasses. So buy this and you can Save 50% Off on the Nikon Sportstar 8X25 EX Waterproof Binoculars at The Source! Only $39.96, Shop Now! See all the action with the 55" LED RLD5515A by RCA. The 1080p HD, crystal-clear resolution makes games and movies look amazing, giving the best entertainment experience. 55" D-LED HDTV. 1080p. 1920 X 1080 Resolution. 120Hz Refresh Rate. Black X Base. So buy this HDTV you can Save $100 OFF on RCA 55" LED HDTV at The Source! Only $719.99, Shop Now! The HTCT60BT soundbar from Sony offers 60W output power, and bringing you power yet sophisticated sound in a sleek design. It allows connections with various equipment via one optical, coaxial, digital and analog input. Buy this Soundbar and you can Save $70 Off on the Sony 2.1-Channel Soundbar with Bluetooth at The Source! Only $129.99, Shop Now! Twice as fast as ordinary SDHC/SDXC cards, this Ultra SDXC UHS-I card lets you take better pictures and full HD videos with your compact or mid-range point-to-shoot cameras and camcorders. With SanDisk's Ultra UHS-1 cards you'll benefit from faster downloads, high capacity and better performance to capture and store up to 64GB of high-quality pictures and full HD video. Buy this product and you can Save 54% Off on the Sandisk Ultra SDXC UHS-1 64GB Memory Card at The Source! Only $59.99, Shop Now! Take the Olympus TG850 with you no matter where you go along your journey to make sure that you have a camera rugged enough support your life style. The built in 180 degree flip LCD screen gives you the flexibility to take shots from all sorts of unusual angles. Your images will be more panoramic with the ultra-wide 21mm(equivalent) lens then the 28mm versions on other rugged cameras. The camera allows you to record full 1080P 60fps movies and also supports many different intervals for shooting stills. Buy this Camera and you can Save $50 Off on the Olympus Tough TG850 16MP Digital Camera at The Source! 3 Colours Available, Only $199.99, Shop Now! Get incredible DSLR-quality photos without the traditional bulk of a DSLR camera with the Sony Alpha NX5RKB 16.1MP camera! This kit comes with everything you need to dive into great photography, including a Sony SEL1855 18-55mm lens and an external flash with a case, and offers incredible quality in a compact, easy-to-use package. The 16.1MP APS HD CMOS image sensor captures your memories in professional-looking, dynamic, high-contrast photos, and the wide range of in-camera effects and scene modes let provide countless options for setting up and manipulating your shot right from the camera itself. Buy this Camera and you can Save $120 Off on the Sony Alpha 16.1MP Camera with 18-55mm Lens & Flash at The Source! Only $379.96, Shop Now! All built-in tones, including piano and acoustic instrument tones, now sound better than ever before with a CASIO CTK-3200 61-KEY STANDARD KEYBOARD. The 48-tone maximum polyphony provides plenty of margins to minimize the chance of notes being dropped when tones are layered and when playing with Auto Accompaniment. This feature gives you access to a large collection of music from around the world including 150 rhythms and 20 patterns for piano play. Buy this product and you can Save $40 Off on the Casio CTK-3200 61-Key Standard Keyboard at The Source! Only $99.99, Shop Now! Do more with the Hipstreet Phoenix 8GB 10.1" Google-certified Bluetooth Tablet with Android 4.4 KitKat, Case and Keyboard. This tablet has an 8GB capacity, and supports a MicroSD card up to 32GB. This tablet features a 1.6GHz Quad Core A9 CPU with 1GB DDR3 RAM, a Dual Mali 400 Graphics Processor with HDMI out, and an Android 4.4 KitKat Operating System. Also included are a built-in rechargeable lithium-polymer battery, 10GB Cloud Storage and dual cameras, with the front offering 0.3MP and the rear offering 2.0MP. A speaker, microphone, clock, calendar, and sound recorder are all built-in to the tablet. This tablet also supports multiple language formats. So buy this Tablet and you can Save $140 Off on the HipStreet Phoenix 8GB 10.1"Google-Certified Bluetooth Tablet at The Source! Only $129.99, Shop Now! Update the way you read books with the black Kindle 6" Wi-Fi eReader with a touchscreen, to make navigating the millions of books available easier! The anti-glare screen reads like real paper, meaning you can read in any light without a problem. With 4GB of data you can store thousands of books on your device without a problem, giving you plenty of selection while you are on-the-go. The new processor ensures fast download times, and smooth page changes. Change the way you read with Kindle! And Get the Kindle 6" Wi-Fi eReader with touchscreen for only $64.99 at The Source! Shop Now! Don't let the Nikon D3200 DSLR camera's compact size and price fool you - packed inside this easy-to -use HD-SLR is serious Nikon power: a 24.2 Megapixel DX-format CMOS sensor that excels in any light, EXPEED 3 image-processing for fast operation and creative in-camera effects. Not to mention Wi-Fi connectivity, full HD (1080p) movie recording, in-camera tutorials and much more so that you can take your photography skills to the next level. Enjoy simply stunning photos and videos in any setting. This bundle includes a Nikon D3200 DSLR camera body, an 18-55mm VR lens, a 55-300mm VR lens and a handy hiker backpack bag so you can carry all of your gear wherever you go. Buy this Camera and you can Save $180 Off on the Nikon D3200 24.2MP DSLR Camera Bundle at The Source! Only $499.96, Shop Now! 5th Generation 32GB iPod Touch. Buy this and you can Save $30 Off on the 5th Generation 32GB iPod Touch at The Source! Only $239.99, Shop Now! Get the gorgeous HD picture you love plus the convenience of streaming right on your TV with the Sony KDL48W600B 48" 1080p LED Smart TV. Built to impress, this high-quality Smart TV features integrated Wi-Fi support for supreme wireless convenience - stream your content without an added Internet player and browse the web right from the comfort of your couch. Plus, your favourite movies, games, TV shows, photos and more will just look better thanks to the beautifully crisp and clear colours and sharp details of this TV's superior image quality. Featuring Motionflow XR 240 for smooth movement and ClearAudio+ for incredibly deep and dynamic sound, the KDL48W600B is the perfect total entertainment hub for any home theatre. Get this Black Friday Sale: Save $150 Off on Sony 48" 1080P LED Smart TV at The Source! Only $579.99, Shop Now! Save $30 Off on 16GB iPod Touch at The Source! Various Colours Available, Only $189.99, Shop Now! Save 25$ Off on 16GB iPod Nano!! 16GB iPod Nano. So buy this and you can Save $25 Off on 16GB iPod Nano at The Source! Various Colours Available, Only $124.99, Shop Now! Get everything you need to experience the French Revolution and become a Master Assassin with the Xbox One 500GB Assassin's Creed Unity Bundle with Kinect. This all-in-one bundle includes Kinect, an Xbox controller and chat headset, plus a full gaming download of Assassin's Creed: Unity, Assassin's Creed IV: Black Flag, and a bonus token for Dance central Spotlight. With deep customization mechanics, craft your character to perfection and take part in unique narrative-driven missions designed exclusively for co-op play. Buy this and you can Save $50 Off on the X-Box One 500GB Assasin's Creed Unity Bundle with Kinect at The Source! Only $449.99, Shop Now! The Samsung Galaxy Tab 4 10.1 tablet is powered by 1.2GHz quad-core CPU and 1.5GB of RAM running Android 4.4. It also features a 16:10 1280x800 screen along with an integrated 3MP rear camera and a 1.3MP front camera. In addition, Samsung's Multi Window functionality easily allows switching between apps. Get this Black Friday Sale: Save $100 Off on the 16GB Samsung Galaxy Tab 4 10.1" Tablet at The Source! Only $279.99, Shop Now! The Sony KDL50W790B 50" 1080p LED Smart 3D TV delivers lifelike detail as HD movies, sports, YouTube clips and home movies burst off the screen with beautiful clarity and colour. Motionflow XR 240 technology makes quick-moving action sequences appear realistic, as it evens out the picture where the camera can't for clearer, more natural movement. Sony's ClearAudio+ technology fine-tunes your TV's sound to create an exquisite, emotionally engaging experience that surrounds you. Hear every detail of the music, dialogue and sound effects with greater clarity and separation that truly immerses you in the action on the screen. Stream beautiful HD content straight from the Internet or your home network using built-in Wi-Fi, plus open the door to the endless entertainment of the Sony Entertainment Network, where thousands of movies, TV shows, online videos, games and music are always on tap. Buy this TV and you can Save $300 Off on the Sony 50" 1080P LED 3D Smart TV at The Source! Only $799.99, Shop Now! Get everything you need to experience the bloody French Revolution and become a Master Assassin with the Xbox One 500GB Assassin's Creed Unity Bundle. This all-in-one bundle includes an Xbox controller and chat headset, plus a full gaming download of Assassin's Creed: Unity and Assassin's Creed IV: Black Flag. With deep customization mechanics, craft your character to perfection and take part in unique narrative-driven missions designed exclusively for co-op play. Play on your own, or join forces with up to 3 friends to take on the chaos of the French Revolution on the most advanced multiplayer network with Xbox One. Buy this Xbox and you can Save $50 Off on X-Box One Assassin's Creed Unity Bundle at The Source! Only $349.99, Shop Now! Get right into the action and complete your home theatre setup with the compact Samsung HW-F355 Bluetooth soundbar and wired subwoofer combo! Immerse yourself in 2.1-channel virtual surround sound, and enjoy impressive, rich audio thanks to the 120W of total power and the 60W powered, dual-band wired subwoofer. Plus, the HW-355 features built-in Bluetooth connectivity and Samsung SoundShare, which allow you to wirelessly connect your smartphone or other portable media device so you can stream your favourite music in virtual surround sound! Buy this Samsung 2.1-channel soundbar with wired subwoofer for only $99.99 at The Source! Shop Now! To capture thrilling first-person views of your epic moments, to really share the rush with your friends and family, you need a camera that's rugged, sure�but you also need a camera that takes outstanding photos and videos. The waterproof, freezeproof and shockproof COOLPIX AW120 delivers the image quality your big moments deserve. Strap it to your chest with the optional Chest Harness and record mind-blowing Full HD 1080p videos with stereo sound, smooth slow motion sequences and high-res photos, even in challenging conditions. When things get bumpy, Nikon's new Hybrid VR system helps keep your shots sharp and steady. The camera's superb wide-angle (24mm equivalent) f/2.8 NIKKOR glass lens gets more in the frame and captures bright, sharp images that will have you reliving the action on your "off" days. Buy this Camera and you can Save $80 Off on the Nikon Coolpix AW120 16MP Digital Camera at The Source! Only $269.99, Shop Now! The Nikon COOLPIX P530 16.1MP camera features extreme zooming capabilities with the extraordinary power of 42x optical zoom and 84x Dynamic Fine Zoom, which is enough reach to see small details on faraway subjects. The optional WU-1a wireless mobile adapter (sold separately) connects to your compatible smartphone or tablet to share pictures and even take photos remotely. The camera's stylish, comfortable design with a convenient grip, electronic viewfinder and high-resolution 3.0" wide-viewing angle TFT-LCD display makes it easy to frame and record, while the optical Vibration Reduction technology keeps your photos steady and smooth. Buy this Camera and you can Save $70 Off on Nikon Coolpix P530 16.1MP Camera at The Source! Only $279.99, Shop Now! This easy-to-use COOLPIX L830 camera from Nikon delivers long zoom range, brilliant images, 1080p HD videos and sharp styling. Be amazed by the distance this camera covers with its 34x optical Zoom-NIKKOR ED glass lens and 68x Dynamic Fine Zoom technology that ensures crystal-clear photos no matter how far your subject is from your lens. It also features optical vibration reduction to produce smooth photos and video when shooting at long zoom distances. Buy this Camera and you can Save $50 Off on the Nikon Coolpix 16MP Camera with 34x Optical Zoom Lens at The Source! Only $187.99, Shop Now! Capturing the perfect close-up shot has never been easier than with the Sony Cyber-shot DSCH400B SLR-style 20.1MP camera in black. This petite powerhouse packs a whopping 63x optical zoom, meaning you can get extremely close from super far away. The 20.4MP CCD sensor offers gorgeous, high-res image quality, and the 720p/30fps movie mode let you record family get-togethers, sporting events, outdoor adventures and more without lugging an extra camcorder around in your bag. Buy this Camera and you can Save $80 Off on the Sony Cybershot SLR-Style 20.1MP Camera with 63x Optical Zoom at The Source! Only $219.99, Shop Now! Get high-quality photos without the bulk and hassle of a DSLR with the Sony Cyber-shot DSCW800B 20.1MP camera. Built to impress, not weigh you down, this pocket-sized camera boasts a 20.1MP CCD sensor for incredibly sharp, crisp photos. The 5x optical zoom and 10x digital zoom combine to give you close-up shots from far away, and the wide variety of shooting and scene modes make shot composition easy in any light. Plus, the 720p video mode lets you record videos on the go without packing your camcorder! Buy this Camera and you can Save 30% on the Sony Cyber-Shot DSCW800B 20.1MP Camera at The Source! Only $67.99, Shop Now! This Atom MAV 2.4GHz R/C quadcopter features 4 spinning propellers that work together for realistic flight. Includes USB charging cable, R/C controller and instructions. Buy this BOGO HALF OFF BUNDLE! Get the Atom Mav 2.4GHZ R/C Quadcopter & R/C Truck Bundle for only $79.98 at The Source! Shop Now! Storm Wolf or Blaze infrared indoor helicopter operates on 3 channels and features gyro control for stable flights. Charges from the controller. And buy this BOGO HALF OFF BUNDLE! Get Wolf/Blaze Infared Indoor Helicopter & R/C Skateboarder Bundle for Only $69.98 at The Source! Shop Now! Dispense drinks to your friends and guests while giving them something to talk about with a Koolatron 10-Can capacity Coca-Cola Vending Fridge. This bright mini vending machine fridge is perfect for a kitchen, dorm, office or den. The fridge features a thermoelectric cooling system allowing it to operate quietly and cool the fridge up to 32 degrees Fahrenheit below the ambient temperature. Add some fun to any d�cor with a classic Coca-Cola vending fridge. Buy this product and Save $40 Off on the Koolatron Coca Cola Vending Fridge at The Source! 10 Can Capacity, Only $129.99, Shop Now! Venture into the great outdoors with this BERG Buddy Go-Kart which allows children to learn basic steering and will create lasting memories. Thanks to the adjustable seat and steering wheel, children will be able to enjoy this Go-Kart for years. Due to the unique BFR system you can brake with your pedals, and after stopping, you can pedal backwards immediately. This Go-Kart is intended for children ages 3 to 8. Buy this and you can Save $80 Off on the Berg Buddy Pedal Go-Kart at The Source! Only $259.99, Shop Now! Everyone will be envious when you whizz past on the trails in this beautifully-designed Jeep Adventure go-kart for ages 4 to 12. The Jeep Adventure kart is light and compact letting you travel the narrowest paths with ease. The unique BFR system ensures that you can brake with your pedals, and after coming to a halt, you can immediately pedal backwards! Buy this and you can Save $140 Off on the Berg Jeep Adventure Pedal Go-Kart at The Source! Only $429.99, Shop Now! Get Vtech Innotab Max Tablet. And Get the Vtech Innotab Max Tablet for only $99.99 at The Source! 2 Colours Available, Shop Now! It�s never too early to introduce your child to computer learning when you have the Brilliant Creations Genius Jr. Laptop from VTech. This educational toy laptop connects your child to an entire world of learning fun! Get this Toy and Save 40% on the Vtech Brilliant Creations Genius Jr. Laptop at The Source! Only $20.99, Shop Now! Transform from a motorized construction truck to a powerful dinosaur with VTech's Jagger the T-Rex! With voice recognition technology, this mighty toy dinosaur is yours to command. This electronic toy fuses two of kids' favorite things - dinosaurs and vehicles - into one awesome play experience your child will love! Buy this product and Save 25% on the Vtech Switch & Go Dinos at The Source! Only $59.99, Shop Now! Gather your friends and family for a tour of the Party Islands that are packed with over 80 all new mini games in stunning 3D on your Nintendo 3DS XL. Immerse your senses in serious 3D gaming on-the-go without the pesky glasses with the Nintendo 3DS XL. All of your favourite features are packed into the Nintendo 3DS, with awesome new stuff and of course, incredible 3-dimensional gameplay. Prepare to experience a truly new dimension in portable gaming that's out of this world! A built-in 3D Depth Slider allows you to quickly adjust the intensity of the 3D settings on the Nintendo 3DS system the way you like. The 3D effect can also be turned off completely - all Nintendo 3DS games and applications can be played in 2D, and look better than any Nintendo handheld before it. And Get the Nintendo 3DS XL with Mario Party Island Tour for only $179.99 at The Source! Shop Now! The Gigastone 16GB capless thumb drive with grip-friendly shape and reliable performance lets you store thousands of pictures, music and other files conveniently and securely. Buy this product and Save 70% on the Gigastone 16GB USB Thumb Drive at The Source! Only $7.49, Shop Now! Surf, stream, chat and play on the go with the super-slim, ultra-portable Samsung ATIV Book 9 Lite NP915S3G-K02CA 13.3" touchscreen laptop. Featuring a quad core processor and 4GB of RAM, the Book 9 can multitask with ease. The 128GB solid-state drive provides the space you need for your favourite videos, photos and files while offering a more reliable storage solution than a traditional hard disk drive, and the Windows 8 operating system lets you intuitively manage and organize your files and programs beautifully. Plus, ATIV Book 9's 13.3" LED touchscreen lets you interact with Windows 8 the way its designers intended - touch, tap and swipe through your menus and programs with ease. Buy this Laptop and you can Save $240 Off on the Samsung ATIV Book 9 Lite 13.3" Touchscreen Laptop Computer at The Source! Only $579.96, Shop Now! This Acer Aspire A5600U-ER12 All-in-One Desktop PC features an Intel Core i5 3230 M processor, 8GB memory and 1TB + 20GB SSD hard drive. It has Wi-Fi and Bluetooth for easy connections and a wireless keyboard and mouse. This desktop comes complete with Windows 8. Buy this Desktop and you can Save $250 Off on the Acer Aspire All-in-One Desktop PC at The Source! Only $749.99, Shop Now! These Sony MDR-ZX310AP/B over-the-ear headphones are more than your basic pair of stereo headphones. This headset delivers premium audio performance and features an integrated mic for handsfree calling and media playback controls for easy operation. Plus, they swivel and fold for easy portability and carrying convenience. Get this Black Friday Sale: Save 40% on the Sony MDR-ZX310AP/B ZX Series Headband Stereo Headphones at The Source! Only $29.99, Shop Now! Samsung Galaxy Tab S 8.4 with Multi Window� lets you actively use two windows at once. Watch a movie and answer e-mail, or search the Web and edit a presentation � all at the same time! And with Magazine Home, you can customize multiple dashboards to stay organized and prioritize your most useful apps and feeds. Buy this Tablet and you can Save $50 Off on the Samsung Galaxy Tab S 16GB 8.4" Tablet with Wi-Fi at The Source! Only $369.99, Shop Now! Samsung Galaxy Tab S 10.5 with Multi Window� lets you actively use two windows at once. Watch a movie and answer e-mail, or search the Web and edit a presentation � all at the same time! And with Magazine Home, you can customize multiple dashboards to stay organized and prioritize your most useful apps and feeds. Buy this Tablet and you can Save $50 Off on the Samsung Galaxy Tab S 16GB 10.5" Tablet with Wi-Fi at The Source! Only $469.99, Shop Now! The Samsung Galaxy Tab 4 8" tablet is powered by 1.2GHz quad-core CPU and 1.5GB of RAM running Android 4.4. It also features a 16:10 1280x800 screen along with an integrated 3MP rear camera and a 1.3MP front camera. In addition, Samsung's Multi Window functionality easily allows switching between apps. Buy this Tablet and you can Save $50 Off on Samsung Galaxy Tab 4 8" Quad-Core 16GB Tablet at The Source! Only $229.99, Shop Now! The Ematic 7" HD quad-core tablet features Android 4.2 Jelly Bean and Google Play. Plus, enjoy your favourite apps on its powerful 1.5GHz quad core processor that's coupled with a dedicated GPU. Store plenty of apps and games on its 8GB of flash memory space that can be expanded up to 32GB with a microSD card (sold separately). With Google Play, you can access over 975,000 apps and games, plus thousands of movies and books, millions of songs, your favourite TV shows and magazines and play tons of fun games. Use the 5GB of included cloud storage to stream your music and movies to your tablet wherever you go. Buy this Tablet and you can Save $50 Off on the Ematic 8GB 7" Google-Certified Quad-Core Tablet at The Source! Only $49.99, Shop Now! Free up floor space with this wall hanging articulating flat panel TV mount. Position your TV just the way you want it for the perfect viewing experience. This mount helps you enjoy your TV to the fullest. Supporting screen sizes 32"-60" and with a maximum weight capacity of 45kg (99lbs), the NexxTech 32"-60" Full-Motion Flat Panel TV Mount is a great accessory to your TV in your home, office or at school, and adds style and class to every space. Buy this product and you can Save 60% on the Nexxtech 32"-60" Full-Motion Flat Panel TV Mount at The Source! Only $59.99, Shop Now! The Samsung next-generation The Blue Touch of Colour (ToC) 27" LED PLS monitor is designed to catch the light of its surroundings in remarkable ways, but offers a narrow bezel, slim and sleek black body and transparent neck to create a stylish look that's complemented with a subtle hint of soft, pure blue along the bezel - making this unique monitor light up and stand out in a way you've never seen before. Experience superior picture quality as the PLS panel's wide viewing angle offers a consistent natural colour and contrast ratio from any angle within 178�, vertically and horizontally. The Game Mode option features the best settings for gameplay, which reduces screen lag, enhances the colour and alters the screen's contrast to provide premium picture quality for gaming excellence. So buy this Monitor and you can Save $130 Off on the Samsung 27" LED PLS Monitor at The Source! Only $199.99, Shop Now! Save 100$ Off on Sony HTCT260 Soundbar! Sony HTCT260 Soundbar with Wireless Subwoofer. Bring immersive sound and heart-pounding bass right into your living room with the Sony HTCT260 soundbar with wireless subwoofer. This 2.1 channel soundbar offers incredible, room-filling sound thanks to the 300W of audio power. The included wireless subwoofer provides bass you can feel, and the simple, modern design blends right into your existing home theatre set-up. Plus, the built-in Bluetooth connectivity allows you to stream your favourite music right from your smartphone, iPod or other Bluetooth-enabled device so you can get the party started without any extra cables or wires! Buy this Speaker and you can Save $100 Off on the Sony HTCT260 Soundbar with Wireless Subwoofer at The Source! Only $249.99, Shop Now! The Fluid 42" 1080p DLED HDTV is perfect for watching your favourite shows and movies or playing fast-action videogames as it features a beautiful 42" 1080p DLED display with 60Hz refresh rate. Connect your favourite devices like Blu-ray players and gaming systems courtesy of its 3 HDMI inputs (HDMI cable sold separately), plus enjoy powerful audio via Dolby digital audio. Get the Fluid 42" 1080P DLED HDTV For Only $299.99 at The Source! Shop Now! Designed by Philippe Starck, the Parrot Zik headphones host state-of-the-art technology, which includes high-performance active noise control, "spatialized" musical image, a tactile touch panel that enables sensual movements, head detection and bone conduction censoring, five microphones and a powerful digital signal processor. Swipe up or down on the right ear cup to change the volume, swipe forward to skip a song. Enjoy amazing clarity while listening to music and taking phone calls. The intelligent sensor technology pauses the music when the headphones are taken off your head. The simple Bluetooth pairing system lets you touch your phone to the left ear cup to effortlessly connect with NFC devices. With the Parrot Concert Hall Effect, you enjoy lifelike sound that allows you to alter the acoustics and sound-space via the Parrot App. Buy this Headphone and you can Save $100 OFF on the Parrot ZIK by Starck Wireless Headphones at The Source! Only $329.99, Shop Now! Rest easy knowing that your important files are backed up and secure with the Canvio Connect 1TB external hard drive from Toshiba! With password-protected data encryption and scheduled backup functionality that can be set to back-up your internal drives automatically, this USB-powered, PC- and Mac-compatible hard drive is a versatile data solution for any computer. The Canvio Connect is capable of full system backup and recovery, and also features cloud-enabled backup so you can access and share any of your content from anywhere via the Internet! Buy this Hard Drive and you can Save $25 Off on the Toshiba Canvio Connect 1TB External Hard Drive at The Source! Only $59.99, Shop Now! The Samsung Galaxy Tab 4 7.0 tablet is powered by 1.2GHz quad-core CPU and 1.5GB of RAM running Android 4.4. It also features a 16:10 1280x800 screen along with an integrated 3MP rear camera and a 1.3MP front camera. In addition, Samsung's Multi Window functionality easily allows switching between apps. Buy this Tablet and you can Save $40 Off on the Samsung Galaxy Tab 4 7" Quad-Core 8GB Tablet at The Source! Only $179.99, Shop Now! Revolutionary, Intuitive, Precise. The DUALSHOCK�4 Wireless Controller for the PlayStation�4 system defines the next generation of play, combining revolutionary new features like the multi touch pad and Share button with intuitive, precision controls. And Get this Dualshock 4 Wireless Controller for PS4 at The Source for Only $39.99 + Free Shipping! Start Shopping Now! Get everything you need prevail in the next generation of combat with the Xbox One 1TB Limited Edition Call of Duty: Advanced Warfare bundle. This all-in-one bundle includes a specially designed Xbox One console and wireless controller decked out in Sentinel Task Force emblems and theming, plus a full game download of the Day Zero Edition of Call of Duty: Advanced Warfare with in-game Day Zero content like early access and double XP on November 3, the Digital Edition Personalization Pack, a Limited Edition exoskeleton, the Advanced Arsenal and 2 custom weapons. So buy this Xbox One 1TB Limited Edition Call of Duty: Advanced Warfare Bundle at The Source! Now Only $499.99 + Free Shipping, Shop Now! Dive into the next generation with one of the highest-rated games of 2013 thanks to the PS4 The Last of Us Remastered hardware bundle. This bundle includes a digital download of The Last of Us Remastered, which lets you join unlikely duo Joel and Ellie in their journey across the post-apocalyptic United States as they find out just how far they'll go to survive. This bundle includes a 500GB PS4 console, a DUALSHOCK 4 wireless controller, a wired mono headset and a digital download of The Last of Us Remastered, which includes all multiplayer DLC and The Last of Us: Left Behind downloadable chapter. So Get this PS4 500GB The Last of Us Remastered Bundle with BONUS Call of Duty: Advanced Warfare Day Zero Edition for PS4 at The Source! Now Only $449.99 + Free Shipping, Shop Now! Bring your music with you anywhere in the house with this bluetooth wall plate speaker. Easy to set-up with an on/off pairing button and a quick plug and play setup. Turn any outlet into a wireless speaker. Versatile - listen to your music from your MP3, PC, smartphone or tablet. 2-way acoustic design with bass boost. No batteries required. Buy this product and Save 38% Off on Acoustic Research ARSWP1 Bluetooth Speaker Wall Plate at The Source! Only $49.99, Shop Now! The iLuv Syren speaker will be your secret weapon at parties thanks to its top and bottom firing ports that will fill the room with 360 degree sound. The Syren features a lithium-ion rechargeable battery that allows you to listen to your music for hours on end. The unique speaker and bass radiator design creates high fidelity 360-degree sound that will surpass all of your expectations. With NFC one touch technology pairing your favorite devices will be a snap. Surprise your friends and set the mood at your party with the Syren 360-degree Bluetooth speaker from iLuv. Buy this Speaker and you can Save 22% Off on the iLuv Syren Portable 360-Degree Bluetooth Speaker at The Source! Only $34.99, Shop Now! The A600 Bluetooth portable NFC speakers by Rapoo allow you to listen to your music anywhere off your devices using the NFC quick connection. Start up and complete the Bluetooth connection without power-on or setting up the connection. Everything is just that simple. You can enjoy high-quality stereo audio by connecting to Bluetooth-enabled devices, like your smartphone, tablet or PC. You can make and receive voice calls through the speaker and use it as a telephone conference device. The A600 offers a great sound and a stylish design. With its slight retro-touch, the aluminum alloy and sandblasted frame is rugged, wear resistant and has a great texture. It is built with Radiation Airflow Invert Technology which assures pure and perfect music. Buy this Speaker and you can Save 25% on the Rapoo A600 Bluetooth portable NFC Speaker at The Source! Only $74.99, Shop Now! Hold in your hand the smallest COOLPIX camera ever and marvel at its sleek, exquisite design. Then create equally stunning photos with ease, thanks to a versatile 3x Zoom-NIKKOR glass lens, a vibrant touchscreen display and built-in intelligence that optimizes the camera for you-proof that big quality can come in a small package. 10.1MP. 2.5" LCD Screen. Digital Zoom (4x), Optical Zoom (3x) range. In-camera image editing: colour options, filter effects, fisheye, miniature effect and toy camera. Scene Modes: Back Light, Close Up, Landscape, Night Landscape, Night Portrait, Portrait and Scene Auto Selector. Hi-speed USB. Buy this Camera and you can Save 50% Off on Nikon COOLPIX S01 Digital Camera at The Source! Only $29.96, Shop Now! The streamlined Fluid 2.1-channel TV soundbar with 2.4GHz wireless subwoofer looks great in any home theatre setup and delivers powerful audio to your favourite movies, sports and shows via 120W of total output power. Use the integrated Bluetooth and NFC technology to stream your music directly to the soundbar and hear your favourite tunes like never before. Buy this and you can Save $30 Off on Fluid 2.1 Channel TV Soundbar with 2.4GHz Wireless Subwoofer with Bluetooth and NFC Technology at The Source! Only $119.99, Shop Now! The Sleek 3G works with all cellular devices on all conventional 2G and 3G networks. Reduce lost calls and boost your cell phone voice and data performance on the road or in weak signal areas with the Wilson Sleek signal booster. No need to worry about reception dead spots while out and about - the Wilson Sleek amplifies your signal to and from cell towers, keeping you more reliably connected. Featuring oscillation (or interference) protection and an attractive, compact design, the Sleek also extends your phone's battery life by allowing your phone to work at reduced power. Buy this product and Save $50 Off on Wilson Sleek 3G Cradle Smart Technology II Signal Booster at The Source! Only $99.99, Shop Now! The Channel Master CM 2020 HDTV antenna is an outdoor TV antenna that receives both digital TV and HDTV programming. HD televisionantennashas a signal range of up to 95 kilometers Enrich your Television viewing experience with high-definition programming. The CM-2018 Digital HDTV outdoor antennas will receive both digital TV and HDTV broadcasts. This HD televisionantenna picks up the UHF band channels 14 thru 69 and VVHF stations 7 thru 13. With your HD television you will be able to receive crystal clear HD signals from a reception range of 45 miles for the UHF band and 60 miles for the VHF band. So get this product and Save 40% on the Channel Master Digital HDTV Outdoor Antenna at The Source! Only $59.99, Shop Now! The latest addition to the Rebel series is ready to go wherever your adventures take you. The smallest and lightest DSLR digital camera yet is very travel friendly. The enhanced Hybrid CMOS AutoFocus System quickly and steadily keeps track of your subject so you don't miss any of those once-in-a-lifetime shots. Wondering how your shot will look with a creative filter applied? Now you can preview the results right on the Live View LCD screen. World's smallest and lightest digital SLR camera. High-speed continuous shooting up to 4.0 fps allows you to capture the action. EOS Full HD Movie mode with Movie Servo AF for continuous focus tracking of moving subject. Compatible with the full line of Canon EF and EF-S lenses. So buy this Camera and you can Save $190 Off on Canon EOS Rebel SL1 18-55 IS Kit at The Source! Only $589.99, Shop Now! Save 30$ on RCA 32" DLED HDTV/DVD Combo! The RLDEDV3255-A display has an amazing clear HD resolution. Watch your favourite movies with the convenient DVD slot. With the noise reduction feature you can be sure that everything you watch will have a great sound quality. Buy this and you can Save $30 Off on the RCA 32" DLED HDTV/DVD Combo at The Source! Only $269.99, Shop Now! Optimize your home theatre experience with the Jamo S 426 HCS 3. This 5-piece 5.1 surround sound speaker system provides refined audio performance combined with a modern, industrial design. Have a grand cinematic adventure right in your own living room. With such incredible sound detail, your movies and music will pop right out of the screen! Jamo's carefully balanced engineering creates excellent audio reproduction. The smooth highs and deep lows are very rarely heard from speakers of this size and outperform virtually every competitor in this price range. To further increase your sound system's performance, pair the S 426 HCS 3 with the S 420 Center and the S 420 Surround (not sold individually) for the highest quality home theatre experience. Buy this and you can Save $200 Off on JAMO S426HCS3 Home Cinema System with 5.1 Surround Sound at The Source! Only $305.99, Shop Now! The JAWBONE UP and the UP app provide the simplest way to understand how you move, eat and sleep. It plugs into your phone via the Simple Sync connector. UP provides unique insights to help you live each day better than the last. The new UP app is still the best way to know more about how you eat, sleep and move. The Up app's Insight Engine ties it all together, helping you find hidden connections and patterns between your daily and nightly activities. Track calories, intensity and more for any type of workout. And if you're looking for new tools to help you complete your goals, the UP ecosystem has apps for fitness, weight loss, sleep coaching, detailed food journaling and more. So buy this product and Save $50 Off on Jawbone Up Activity Trackers at The Source! Multiple colours & sizes to choose from, Only $89.99, Shop Now! Introducing the world's most advanced 7" tablet with stunning 1280x800 HD display. Experience rapid web browsing and smooth video streaming thanks to its dual-band, dual-antenna Wi-Fi. Enjoy access to over 1 million books, apps and games that will keep you entertained and informed. Its easy-to-use e-mail app can sync to your Gmail, Exchange and other e-mail accounts. So buy this Tablet and you can Save $115 Off on the Amazon Kindle Fire HD 16GB 7" Tablet at The Source! Only $99.96, Shop Now! The Seagate Backup Plus portable drive simplifies backup for users who want to protect their entire digital life locally, in the cloud or from social networks. SuperSpeed USB 3.0 port. Includes 18" USB 3.0 cable. 2 TB of storage. The metal design allows you to slide the drive into your pocket, purse or briefcase and carry it with you. Via the Seagate dashboard, use the Protect function to set up a one-click plan or schedule your automatic local backup. Keep multiple copies of your files in case disaster strikes. Buy this Hard Drive and you can Save $30 Off on Seagate USB 3.0 2TB Backup Plus Portable Drive at The Source! Now Only $109.99, Shop Now! Get more out of your home computing with the 110-019 desktop PC from HP. Featuring 4GB of RAM, this computer has the horsepower you need for everyday computing, and the massive 1TB hard drive ensures that you'll have plenty of storage space for your movies, music, photos and important files when it counts. Enjoy wired or wireless Internet connectivity thanks to the built-in Ethernet port and Wi-Fi capability, and keep your digital life organized beautifully with the colourful, intuitive Windows 8 operating system. Featuring everything you need for day-to-day computing, the HP 110-019 desktop computer is a great addition to any connected home. Buy this Desktop and you can Save $60 Off on HP 110-019 Desktop PC with AMD E1-2500 1TB HDD & 4GB RAM at The Source! Now Only $299.96, Shop Now! With this 12.1MP camera you can be confident that an amazing photo is always within reach. With the 20x optical zoom (40x with ZoomPlus) you can zoom in for a sharp photo that looks like you're standing right in front of your subject. With an ISO range up to 6400 and the amazing DIGIC 6 Image Processor, your photos will look great whether shot under the stars or on a bright sunny day. From a bright, snowy day to a beautiful sunset, Smart AUTO delivers outstanding photos in 58 predetermined scenes. You can also record movies in full HD in 1080p for sharp and smooth videos, even in slow motion. So buy this Camera and you can Save $70 Off on Canon Powershot SX270 HS Camera at The Source! Open Box Model, Now Only $99.96, Shop Now! The Beats Solo HD headphones are just another example of the superior sound that Beats by Dr. Dre is known for. Beats Solo HDs are made from super lightweight materials, and have soft leather ear cups and an adjustable headband for optimum comfort. The proprietary titanium coated driver technology provides clearer sound, deeper bass and accurately reproduced details. Control your music with the built-in, 3-button remote control that lets you adjust music volume and helps you move seamlessly between tracks. Each pair of Beats Solo HD headphones is made with a unique folding system to handle life on the road. Buy this Headphone and Save $20 Off on Beats Solo HD On-Ear Headphones at The Source! Various Colours Available, Now Only $169.99, Shop Now! Save 40$ on Acer G246HL 24" LED Monitor! Enjoy bright and clear full HD visuals from your PC with the G246HL Abd 24" LED monitor from Acer! With its 1920x1080 resolution and 60Hz refresh rate, this monitor offers a beautiful full HD picture and smooth transitions with minimal blurring. The ultra-slim design and adjustable viewing angle allow for seamless inclusion in any workstation, and the green-compliant G246HL Abd uses less power than many other monitors and meets Energy Star 5.0 requirements. With low power consumption, gorgeous full HD visuals and a lovely slim profile, the Acer G246HL Abd is the perfect monitor choice for any home or office. Buy this Monitor and you can Save $40 on Acer G246HL 24" LED Monitor at The Source! Now Only $139.99. Shop Now! Great sound does come in small packages. Take this Pinnacle PS Sub 225 subwoofer for instance. It boasts powerful 225W audio, supreme bass below 30Hz at -3 dB, and a variety of convenience features to enhance your listening experience. And it's all streamlined into a stylish 15" cube - perfect for any size home theatre system. Buy this product and you can Save $300 Off on Pinnacle PS Sub 225 12-inch Front Firing Powered Subwoofer Now Only $299.99. Shop Now! Get right into the action and complete your home theatre setup with the compact Samsung HW-F355 Bluetooth soundbar and wired subwoofer combo! Immerse yourself in 2.1-channel virtual surround sound, and enjoy impressive, rich audio thanks to the 120W of total power and the 60W powered, dual-band wired subwoofer. Plus, the HW-355 features built-in Bluetooth connectivity and Samsung SoundShare, which allow you to wirelessly connect your smartphone or other portable media device so you can stream your favourite music in virtual surround sound! And Get the Samsung HW-F355 Compact Home Theatre Soundbar For Only $199.99 at The Source! Shop Now! Get connected with the Samsung UN65H6203AFXZC 65-inch 1080p LED Smart TV. Browse the web and access apps courtesy of its built-in Wi-Fi and Smart Hub. Enjoy the incredibly crisp picture quality on its bright, beautiful LED screen. With full HD 1080p and 240Hz Clear Motion rate, you can enjoy detail that a conventional HDTV simply cannot render. The screen mirroring feature allows you to mirror your phone or other compatible mobile device's screen onto the big screen wirelessly. With Wide Color Enhancer Plus, you'll witness a wider spectrum of colours on your screen, just like the director intended. You'll enjoy enriched colours while watching your favourite movies and shows, even if it's older, non-HD content. So buy this HDTV and you can Save $350 Off + NO TAX on Samsung 65" 1080P LED Smart TV at The Source! Only $1,599.99. Shop Now! BIG SCREENS, BIG SAVINGS - TV NOW! Save up to 400$ OFF. BIG SCREENS, BIG SAVINGS - TV Event on NOW! Save up to $400 on select brand-name HDTV's at The Source! Shop Now! Enjoy your own fun, musical light show right in your bedroom with the Gadgetree Dancing Water MP3 Speakers. Combining music, light and water, these MP3 speakers use Multi-coloured water jets to pulse at the beat of the music, sending beautiful fountains of light shooting up the speakers. Simply plug these speakers into your computer, iPod®, or MP3 player and rock out! The Gadgetree Dancing Water MP3 Speakers stand 9" tall and are compatible with any audio device with a 3.5mm audio jack. USB powered only-USB cable and 3.5mm audio cable included. Buy this and you can Save 50% Off on Gadgetree Dancing Water MP3 Speakers at The Source! Only $24.99, Shop Now! Save 30% on Select Lenmar Laptop Batteries!! The Garmin nüvi 50LM is your most trusted and knowledgeable navigator. Perfect for road trips or the unfamiliar back roads, the nüvi 50LM includes lane assistance, junction views, speed limit indication, hear spoken street names, 5 million points of interest and free lifetime maps. The large, easy to read 5-inch touch screen makes the nüvi 50LM conveniently at your disposal yet does not distract from the road. Map updates are available for download up to 4 times a year with no subscription or update fees and no expiration dates. Be sure to check out a variety of GPS accessories to customize and stylize your GPS. Buy this product and Save $20 Off on Garmin NUVI 50LM US & Canada GPS at The Source! Refurbished Model, Only $79.99, Shop Now! This Seiki Ultra-HD 4K DLED TV features 4x the resolution of 1080p HD televisions and a brilliant 120Hz refresh rate that's perfect for picking up all of the fast-paced action and leaving blur behind. Hook up a Blu-ray player, video game console and any other HDMI-supported device via the 3 convenient HDMI ports and enjoy them all on the big 55" screen, plus view pictures and media from your flash drive courtesy of its handy USB port. So buy this TV and you can Save $600 Off on Seiki 55" 4K Ultra HD DLED HDTV at The Source! Only $699.99, Shop Now! The redesigned, ultraportable iPod nano has a larger, 2.5-inch Multi-Touch display; plays music, FM radio and videos; includes built-in Bluetooth technology; and features a pedometer and Nike+ support for fitness. Buy this and you can Save $20 Off on 7th Generation 16GB iPod Nano at The Source! Only $129.99, Various colours available, Shop Now! See who's ringing your doorbell from anywhere in your home with the VTech IS7 121-2 cordless phone and doorbell bundle! The DECT 6.0 cordless doorbell comes with a colour video camera with a 2-way speaker that allows you to see and speak with the person at your door over your VTech cordless handsets. The camera also offers a live view of your doorstep, or you can take and store still images for future reference. Plus, the built-in night vision mode lets you see who's calling even in low-light conditions. The doorbell and handsets offer multiple chimes and ringers for complete personalization, and the doorbell includes a mounting bracket for easy setup at your door. This bundle includes 2 cordless DECT 6.0 handsets, each equipped with Caller ID*, a backlit screen, speakerphone and built-in bilingual digital answering system. Buy this product and you can Save $50 Off on the Vtech IS7121-2 Codless Phone plus Doorbell Bundle at The Source! Only $99.99, Shop Now! Freedom Reigns - A perfect headphones solution to your travel and wireless entertainment needs offered by HeadRush. Listen to your music anywhere-free of wires. These noise-cancelling wireless headphones reach up to 5m! They provide great stereo sound and are compatible with any MP3 players, TV or Stereo System. Works with a wireless dongle that is easy to connect and easy to pairs to your headphones. You no longer have to sacrifice quality for convenience- with these HeadRush Freedom Reigns Noise-Cancelling Wireless Headphones, you can finally have both! So Get the Headrush Noise-cancelling wireless headphones for Only $79.96 at The Source! Shop Now! The Samsung Next-Generation Touch of Colour (ToC) - The Blue 23.6" LED PLS monitor is designed to catch the light of its surroundings in remarkable ways, but features a narrow bezel, slim and sleek black body and transparent neck to create a stylish look that's complemented with a subtle hint of soft, pure blue along the bezel - making this unique monitor light up and stand out in a way you've never seen before. Experience superior picture quality as the PLS panel's wide viewing angle offers a consistent natural colour and contrast ratio from any angle within 178°, vertically and horizontally. The Game Mode option features the best settings for gameplay, which reduces screen lag, enhances the colour and alters the screen's contrast to provide premium picture quality for gaming excellence. Buy this Monitor and you can Save $50 Off on the Samsung S24D390HL Simple LED PLS 23.6" Monitor with black and blue toc finish at The Source! Only $169.99, Shop Now! Save 150$ Off on Fellowes Air Purifier!! Improve the air quality in your home or office with the Fellowes air purifiers featuring PlasmaTrue Technology which safely removes 99.97% of airborne pollutants as small as 0.3 microns! This air purifier includes an air purity sensor that monitors the air quality and automatically adjusts the fan speed to keep your air cleaner, plus the true HEPA filter safely removes airborne particles including pollen, ragweed and other allergens, mold spores, dust mites, viruses, germs, pet dander, cigarette smoke and odors. Buy this product and Save $150 Off on the Fellowes 9270201 AP-230PH Air Purifier with Plasmatrue Technology at The Source! Only $149.99, Shop Now! The Canon PIXMA MX922 all-in-one printer is all about being productive and efficient. The new XXL ink tanks can print approximately 2.5 times more prints, and the individual tanks mean that you'll only have to replace one at a time. Print stunning colour images at a maximum 9600 dpi resolution virtually anywhere in your home using the built in Wi-Fi capabilities. You can even print photos directly from your smartphone! Print more without stopping to change paper with the super handy double front paper cassettes, which allow you to load two different sizes of paper at the same time. The MX922 delivers outstanding business imaging quality and versatile solutions that will assist in bringing your home business to the next level! Buy this Printer and you can Save $110 Off on the Canon PIXMA MX922 All-in-One Inkjet Printer at The Source! Only $89.99, Shop Now! Mota Smartwatch G2 Lite for iPhone & Android. And Get the Mota Smartwatch G2 Lite for iPhone & Android with Bluetooth For Only $89.99 at The Source! 2 colours available, Shop Now! This app-supported Gameloft Duo Gamer game controller for the iPad, iPhone and iPod features 2 analog joysticks, D-pad, 4 buttons and 2 triggers. The game controller, stand, guide and batteries are included. Play a host of Gameloft's top-rated games like Modern Combat 3, NFL Pro 2013, Brothers in Arms 2 and more. Buy this and you can Save 30% on Gameloft Duo Gamer Game Controller for iPad, iPhone and iPod at The Source! Only $27.99, Shop Now! Save 40$ Off on Nikon Coolpix S9400 18.1MP Camera! The COOLPIX S9400 offers a sleek, stylish design. Packed inside its pocket-sized body is a powerful 18x zoom super-telephoto NIKKOR glass lens with lens-shift Vibration Reduction and Motion Detection technology. Both of these features are designed to help you take astonishing close-ups that are razor-sharp, even if your hands are a bit unsteady or your subject is moving quickly. Its large 3.0" 614,000-dot OLED display features Clear Color Display technology and an anti-glare coating for easy viewing, even in direct sunlight! And with an 18.1MP low-light CMOS image sensor, you can shoot without a flash in most low-light situations and enlarge your favourite shots to poster size! Wherever you go, slip the COOLPIX S9400 into your pocket and collect the best memories. So buy this Camera and you can Save $40 Off on Nikon Coolpix S9400 18.1MP Camera at The Source! Only $119.96, Shop Now! This Acer Aspire V5-122P-0647 notebook features an 11.6" HD touch display and a bilingual keyboard. The AMD A4-1250 Dual Core Processor, 4GB memory and 500GB hard drive deliver power, while the 3-cell battery will keep you up and running. This notebook comes complete with Windows 8. Buy this Notebook and you can Save $50 Off on the Acer Aspire 11.6" Touchscreen Notebook at The Source! Only $379.99, Shop Now! Save 50$ Off on FujiFilm Finepix S4800 16MP Camera! Get powerful performance in a compact package with the FinePix S4800 16MP camera from Fujifilm! Featuring a 16MP CCD sensor and Fujinon 30x optical zoom lens, the S4800 offers great value and portable size without sacrificing quality. You'll love the enormous focal range offered by the combined 30 optical and 7.2x digital zooms - together they provide an incredible 216x magnification, meaning you're never too far away from your subject. Plus, the powerful shift image stabilization ensures that your photos won't suffer from blur usually associated with camera shake, even when you aren't using a tripod! Or, if you prefer to get nice and close, use the super macro mode to capture images as near as 2cm from the lens. So buy this Camera and you can Save $50 Off on FujiFilm Finepix S4800 16MP Camera at The Source! Open box model, only $79.96, Shop Now! The Motorola K302 is a big button DECT 6.0 cordless phone with enhanced visual ring indicator. It has 2-line large backlit display with loud handset speakerphone, call waiting and caller ID. The K302 features DECT 6.0 technology to provide interference free communication, increased clarity and enhanced security. The K302 requires only one phone jack and has a range of up to 160 feet indoors and 980 feet outdoors. Other features include 9 speed dial memory, 30 calls caller ID*, extra loud ringtones, adjustable ringer and earpiece volume control. This model is Eco Mode and Energy Star compliant. So buy this product and Save 50% Off on Motorola Cordless K302 Handset with big buttons Telephone at The Source! Only $39.99, Shop Now! Capture the thrills with the Bullet HD PRO wearable sports camera / camcorder with FISHEYE lens. This compact 20MP sports camera / camcorder records in 1080p. Light as a feather when mounted on your helmet or goggles. Features customized mounts for your handlebars, goggles, helmet, paddle board, kayak and more. Buy this product and Save $90 Off on Bullet HD Pro Wearable Sports Camcorder at The Source! Only $139.99, Shop Now! This Bullet HD Xtreme HD Lite sports action camera lets you record your adventures in 720P HD at 30fps and 5MP resolution. Its waterproof up to 10m (33'), plus it mounts onto your bike handle bars, helmet or vehicle's dashboard. Battery and microSD card included. Buy this product and Save 50% on Fujita Xtreme HD Lite Sports Action Waterproof Camera at The Source! Only $59.99, Shop Now! Save 20% Off on Fluid 28" 720P LED HDTV/DVD Combo! Enjoy the convenience of having your DVD player built into your TV with this DVD combo HDTV from Fluid. Play your favourite movies on this beautiful 28" LED display with an impressive 60Hz refresh frame rate and see your favourites like never before. Perfect for adding to your bedroom or den! So buy this and you can Save 20% Off on Fluid 28" 720P LED HDTV/DVD Combo at The Source! Refurbished model Now Only $109.99, Shop Now! Where the action lives, you're sure to find a Swann Atom camera - whether it's attached to a bike, board or helmet! Attach the Atom action cam to virtually anything and capture ultra-wide angle, full HD 1080p video at the push of a button. With dual-microSD card capacity, you can get up to a whopping 64GB max of space to store all your videos and photos, and when you're ready to reveal them to the world, you can easily upload your adventures to YouTube, Facebook and other social networks. You can even play them on your big screen TV via HDMI. Buy this and you can Save $70 Off on Swann Atom 1080P HD waterproof sport wearable action camera with LCD screen Only $199.99, Shop Now! Save 20$ on Toshiba Canvio Connect 2TB External Hard Drive! Rest easy knowing that your important files are backed up and secure with the Canvio Connect 2TB external hard drive from Toshiba! With password-protected data encryption and scheduled backup functionality that can be set to back-up your internal drives automatically, this USB-powered, PC- and Mac-compatible hard drive is a versatile data solution for any computer. The Canvio Connect is capable of full system backup and recovery, and also features cloud-enabled backup so you can access and share any of your content from anywhere via the Internet! Buy this and Save $20 Off on Toshiba Canvio Connect 2TB External Hard Drive Only $119.99. Shop Now! This Samsung 32-inch LED TV is a marvel to behold, boasting an exquisite design and beautiful Full HD 1080p picture quality. Put away your computer and tap into rich Internet content on your television screen. With built-in Wi-Fi you can surf the Web, watch videos, and explore a variety of apps on your 32EH52300 LED TV from the comfort of your couch. So Get the Samsung 32" 1080P LED Smart TV for Only $299.99 at The Source! Shop Now! This Microsoft Surface RT tablet with Office Home & Student 2013 RT features a 10.6" 5-point multi-touch display, 64GB of storage space and 2GB of RAM. Plus, the integrated kickstand clicks into place on your Surface tablet PC for composing e-mail, watching videos or playing games. Its 10.6" ClearType display with 5-point multi-touch and 1366x768 resolution delivers HD quality and performance. Quickly navigate through applications with its Quad Core NVIDIA Tegra 3 processor and 2GB of RAM, and store thousands of your favourite media files with its 64GB storage space. Plus, it's ultra-portable so you'll be able to take it everywhere you go. And Get the Microsoft Surface RT 64GB Quad Core 10.6" Tablet for Only $199.99 at The Source! Damaged box model, Shop Now! Save 170$ on Fluid 55" 1080P DLED HDTV!! This 55" 1080p HDTV from Fluid features direct LED (DLED) technology which delivers a high contrast ratio and sharper images courtesy of evenly distributed LEDs placed directly behind the display. Connect up to 3 HDMI devices and easily switch between your Blu-ray player, gaming console and laptop. Its 120Hz refresh rate provides all of the clarity you need while watching shows and movies that have rapid action scenes. So buy this and you can Save $170 Off on Fluid 55" 1080P DLED HDTV at The Source! Only $579.99, Shop Now! Save 70$ on HP 15.6" Laptop Computer!! HP 15-G020CA 15.6" Laptop with AMD E2-3800, 500GB HDD, 4GB RAM and Windows 8.1. Make everyday computing simple and easy with this HP 15-g020ca laptop PC. Enjoy on-the-go reliability with a simple yet powerful value-packed notebook that gets every task done. This laptop features an AMD E2-3800 Accelerated Processor and 4GB of DDR3L SDRAM, plus store tons of your favourite files on its plentiful 500GB HDD. So buy this Laptop and you can Save $70 on HP 15.6" Laptop Computer Now Only $349.99. Shop Now! 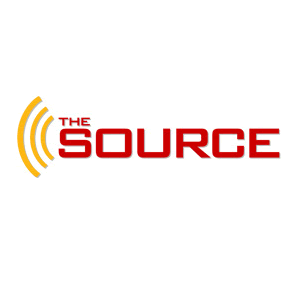 The Source provides a great assortment of product categories aimed at helping customers make their lives easier while on the go, in the home or at work. Our product and service line-up includes the latest selection of Smartphones, TVs, Laptops, Tablets, Headphones and the essentials including Batteries and Ink. The Source’s knowledgeable staff look forward to assisting you find the products you want and providing the help you need, to make the most of your electronics.